Preventative cyber security made easy and straightforward. By using encryption, you dramatically mitigate against security breaches. By dramatically raising the barriers to a successful exploit or compromise, hackers and attackers are incentivized to move onto other targets. Out of the 9 categories of incidents leading to data breaches as identified in the 2017 annual Verizon Data Breach Investigations Report, 6 could have been prevented or significantly mitigated with the use of ScramFS. Encrypted data is practically impossible to decrypt or modify without the relevant encryption key. 1 Web app attacks Website hacking, code-level vulnerability exploits, authentication mechanism bypassing Encrypting sensitive user information on the server end can mitigate against vulnerabilities and recommended by Verizon. 2 Cyber-espionage Unauthorized access linked to state-affiliated actors. Malware to capture, download and export data; phishing Access level exploits to encrypted files don’t automatically allow attackers to read those files. 3 Insider / privilege misuse Malicious insiders, employees, copying data and hoping to monetize it later. 1. Personal information is targeted for identity theft. 2. Commercial information is targeted for its high value to competitors. Encryption limits access to data to those with the keys, so access to the encrypted files can be granted to administrators and staff without automatically granting the ability to read those files. Restricting access to a “need to know” basis mitigates large scale data theft. 4 Human errors Misdelivery, publishing to unintended audiences, insecure disposal, misconfiguration (logging sensitive information in plain text, bad firewall rules, etc) Delivering or exposing encrypted data is of no use to those who do not possess the key. 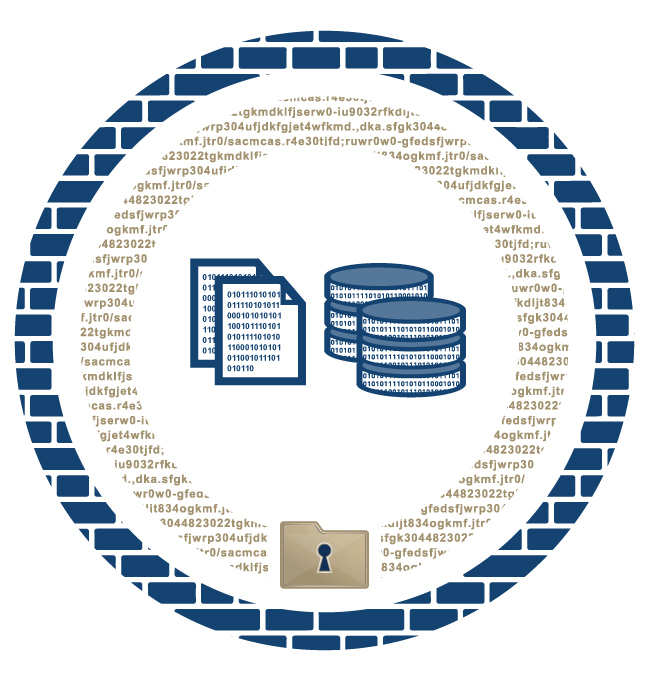 Encrypting data like logs by default mitigates against carelessness or oversight. 7 Physical theft and loss Theft and misplacement of storage devices: laptops, USB hard drives, flash drives, etc. Encrypting data on physical devices prevents data breach. 8 Crimeware Ransomware, including doxware 1. Doxware causes data leaks; using encryption to control access will limit or prevent doxware’s ability to access data. 2. Many crypto-ransomware variants do not attack ScramFS encrypted files. The goal should be to make it more costly and time-consuming for attackers to move from the initial device or network compromise (a security incident) to actually stealing data (data breach). What makes ScramFS ideal for bolstering cyber defences? The proper encryption of data at rest is undoubtedly an effective defence against cyber attackers. However, it's rare that such encryption is used effectively due to complexities and cost. ScramFS cuts through the complexities by providing a simple way to encrypt data across a range of Operating Systems, storage providers and devices. With features such as support for local and cloud storage, support for different operating systems, a powerful encryption command line interface (CLI) and application programming interface (API), it's never been easier to deploy encryption to protect sensitive data.